We live in a world where we've never seen amonster, and The Magic Order is the reason we sleep safely in our beds. 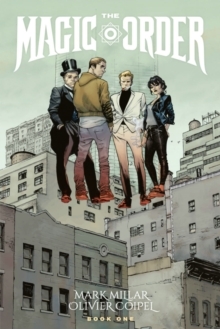 Magicmeets the Mob in The Magic Order, as five families of magicians -- sworn toprotect our world for generations -- must battle an enemy who's pickingthem off one by one. By day, they live among us as our neighbors, friends andco-workers, but by night they are the sorcerers, magicians and wizards thatprotect us from the forces of darkness...unless the darkness gets them first. Collects THE MAGIC ORDER#1-6.